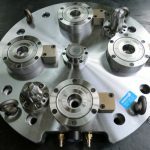 Research and development of asymmetric tooth spur gears for modernization of the light multipurpose helicopter gearbox has amplified its load capacity to utilize more powerful turboshaft engines. 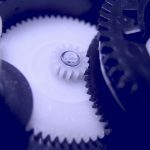 Application of asymmetric tooth gears for aerospace propulsion drives allows for considerably increased power transmission density, potentially increasing their load capacity and reducing size and weight. 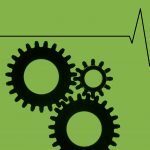 However, there are not many practical implementations of such gears. One such application of asymmetric gears in the turboprop engine gearbox is described in “Application of Gears with Asymmetric Teeth in Turboprop Engine Gearbox” . In that instance, the gearbox was developed from scratch for new engine and new aircraft. However, there are cases of upgrading existing aircrafts with more powerful engines that require higher load capacity gearboxes. One of such case is described in this paper. 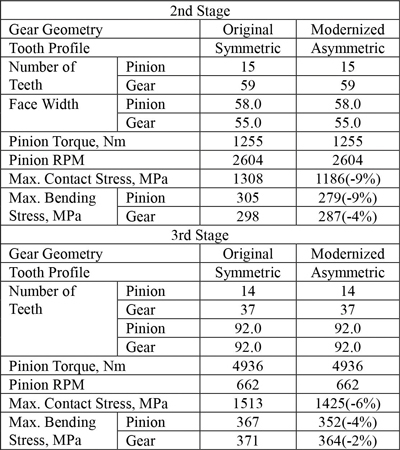 The paper also presents design and performance data of modernized asymmetric gears in comparison with original symmetric gears. A light multipurpose helicopter was upgraded with new turboshaft engines that required modernization of the main gearbox to boost its load capacity within existing size, weight, and lifetime limitations, keeping sufficient safety factors and reliability. This task was solved by implementation of spur gears with the asymmetric tooth profiles in the most loaded second and third stages of the gearbox. The helicopter main gearbox arrangement  is shown in Figure 1. 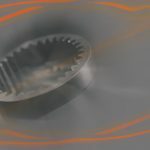 Power from two turboshaft engines is transmitted by the turbine shafts 1 through the bevel gears z1, z2 and then the spur gears z3, z4, and z5 to the bull gear z6 connected to the main propeller shaft 2. About 25% of one of the engine power is used to drive the tail propeller through the spur gear z7 and the bevel gears z8, z9. The original bevel gear pairs had sufficient load capacity to withstand increased power of new engines and were not required any modernization. 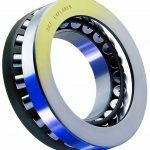 The 2nd and 3rd stage spur gears had to be redesigned to reduce contact stress level and to achieve sufficient tooth flank surface durability. The original spur gears were designed traditionally using the preselected basic rack and its addendum modification (X-shift). 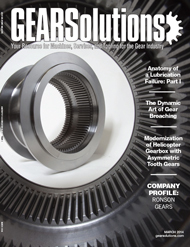 The modernized spur gears with asymmetric teeth were constructed using the Direct Gear Design® method . 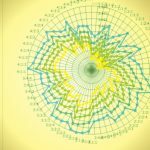 The main parameters of the originally designed and modernized spur gears are presented in the Table 1. 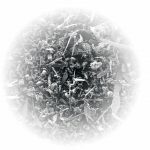 • The tooth root fillet is not ground after heat treatment. Its profile should not interfere with the grinding wheel trajectory. Prior to heat treatment, the gear teeth were machined, leaving the grinding stock about 0.20 mm on the tooth flanks and providing final root fillet profile. Non-ground tooth root fillet remains residual compressive stress after heat treatment, which increase tooth-bending strength. This required the gear hobs with a protuberance. However, due to the low number of pinion teeth of the 2nd and 3rd stages, these hobs could not provide the required tooth root fillet surface finish that reduces local stress concentration and crack initiation probability. 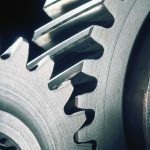 This happens because the fillet surface of lower-number tooth gears is generated with fewer cuts than one for gears with greater number of teeth. 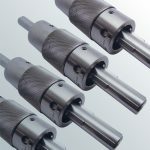 In order to solve this issue, the pinion flanks were machined with conventional hobs (without protuberance) and then, before gear heat treatment, the pinion root fillets were ground. The 2nd stage pinion tooth profiles before and after heat treatment are shown in Figure 2. Prior to heat treatment, the gears of both the 2nd and 3rd stages were machined with the protuberance hobs. 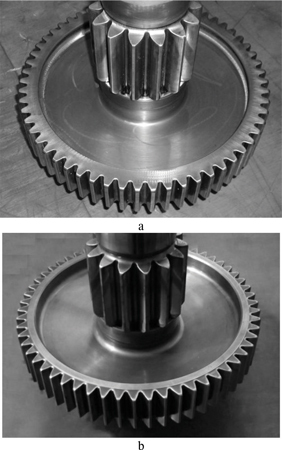 The 3rd stage gear tooth profiles before and after heat treatment are shown in the Figure 3. Geometry of asymmetric teeth does not allow using the traditional Lewis equation to define the tooth bending stress. The FEA subroutine integrated in the Direct Gear Design software was used for comparison of symmetric and asymmetric gear tooth bending stresses. 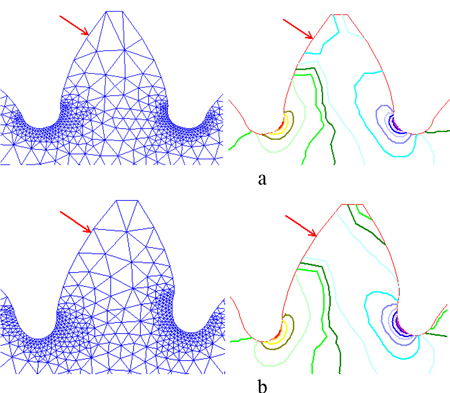 Examples of the finite element mesh and stress isograms are presented in Figure 4. The drive flank contact stresses were calculated by the Hertz equation. Stress analysis results are shown in Table 2. 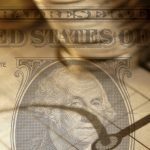 • P – <0.025%, Cu – < 0.30%. 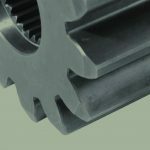 The gear blanks’ position during machining must provide the asymmetric teeth pointed in certain direction (clockwise or counterclockwise). Otherwise, the drive flank of one gear will be positioned in contact with the coast profile of the mating gear, which makes assembly impossible. 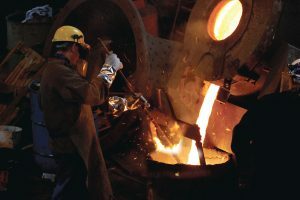 After the tooth cutting, the gears are carburized and heat-treated to achieve a tooth surface hardness of 59-60 HRC with a case depth of 1.2-1.4 mm. The core tooth hardness is 34-42 HRC. 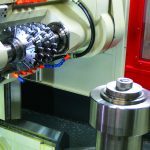 Final gear machining includes tooth grinding and honing. 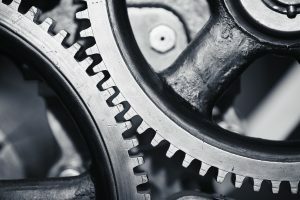 Asymmetric gears require special setup for both these operations. The compound gear that contains the 2nd stage gear and 3rd stage pinion is shown in Figure 5. In this compound gear, the 2nd stage gear is driven and the 3rd stage pinion is driving. For the asymmetric version of compound gear (Figure 5b) this means that asymmetrical directions (tooth inclinations) of those gear and pinion be opposite and in relation to gear rotation direction. This is critical for a proper gearbox assembly. 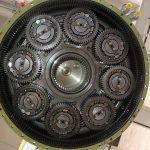 • Application of the asymmetric tooth gears in the most loaded 2nd and 3rd spur gear stages of the main helicopter gearbox allowed to reduce contact stress by 9% and 6% accordingly and reach acceptable drive flank durability without increase of major gear dimensions. 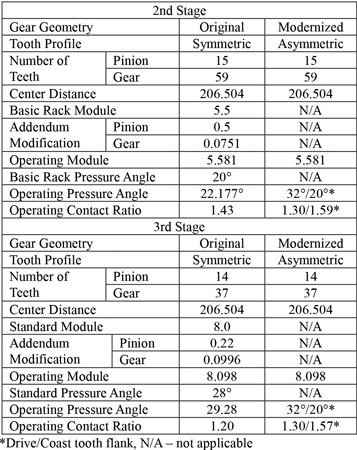 • Requirement of the non-ground tooth root fillet did not permit us to utilize its profile optimization  and, as a result, the bending stress reduction provided by asymmetric teeth is not significant. • Replacing the originally used spur symmetric tooth gears for the gears with asymmetric teeth allowed us to utilized more powerful and fuel-efficient turboshaft engines without a complete redesign of the helicopter gearbox. 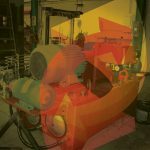 • As has been demonstrated by the similar type of symmetric and asymmetric gear comparative testing , the actual load capacity difference provided by asymmetric gears could be noticeably greater that analytically predicted. 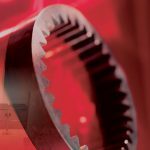 • Asymmetric tooth gears require the dedicated cutter (hob) for each of mating gears, which could be considered as limitation for their wider applications. 1. A.S. Novikov, A.G. Paikin, V.L. Dorofeyev, V.M. Ananiev, A.L. Kapelevich, “Application of Gears with Asymmetric Teeth in Turboprop Engine Gearbox,” 10th International ASME Power Transmission and Gearing Conference, September 4-7, 2007, Las Vegas, Nevada, USA. It was also published in Gear Technology, January/February 2008, 60 – 65.
lead research scientist, Central Institute of Aviation Motors (CIAM), Moscow, Russia. Dr. Ananiev has a Master and Ph.D. degrees at Moscow State Technical University. He works in CIAM for 45 years. His area of expertise is research and development of aerospace gearboxes and transmissions. 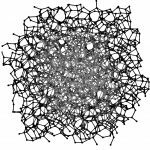 Dr. Ananiev is an author of many technical articles. chief of Strength Department, Motor Sich JSC, Zaporozhye, Ukraine. Mr. Glikson has a Master Degree at Zaporozhye National Technical University. He has worked for Motor Sich JSC for 35 years. His area of expertise is strength and reliability of aircraft engines. He is an author over 50 technical articles. chief of Gearbox Department, Motor Sich JSC, Zaporozhye, Ukraine. Mr. Stupakov has a Master Degree at Kharkov National Aerospace University. He has worked for Motor Sich JSC for 19 years, developing aircraft engine transmissions and engine starters. chief designer, Motor Sich JSC, Zaporozhye, Ukraine. Mr. Shankin has a Master Degree at Kharkov National Aerospace University. He works for Motor Sich JSC for 25 years, developing aircraft engines. He is an author of over 40 technical articles.